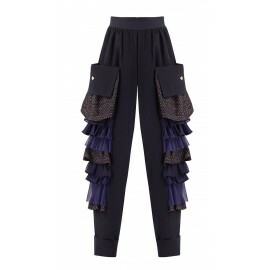 Elegant, fabric, high waist pants AW17 LOOK 07 Poca & Poca that refer to a peaceful whisper of a river are a classic of women's wardrobe in a fresh version. 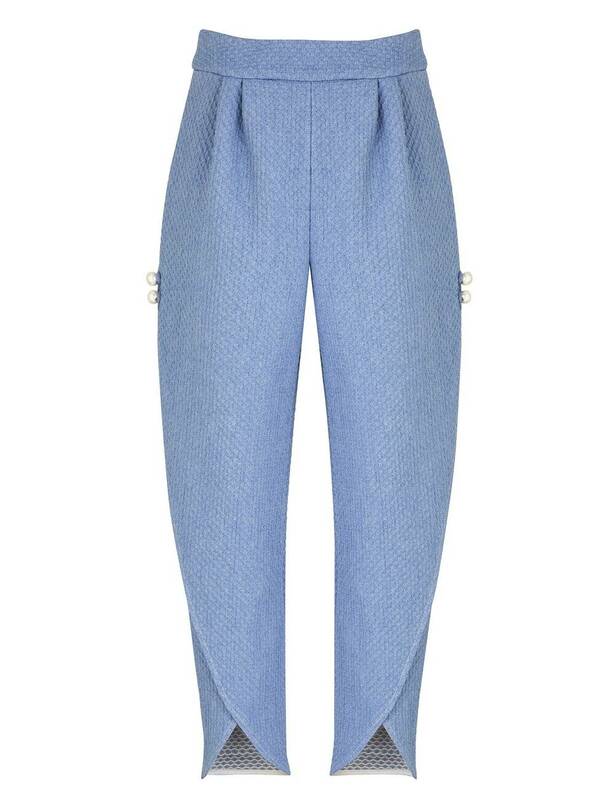 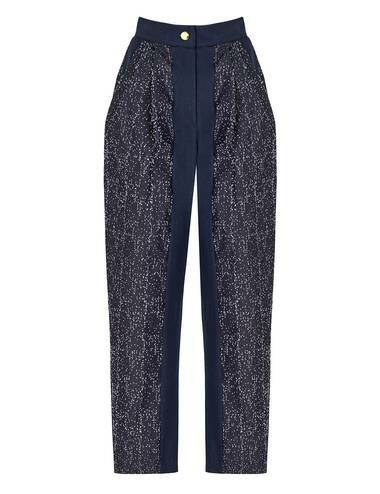 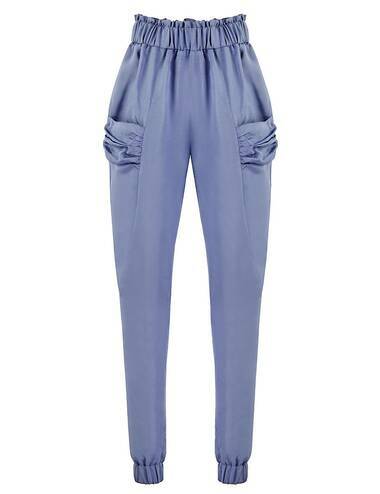 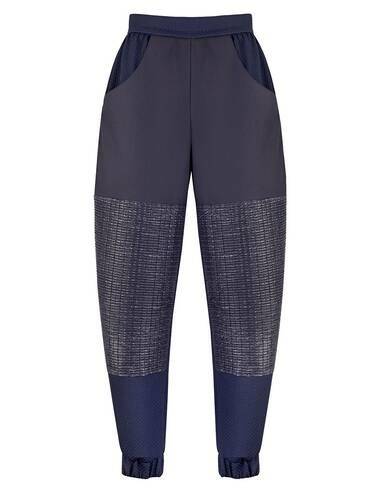 Blue, cotton pants with overlaps have trendy, narrowed legs, which slim the silhouette. 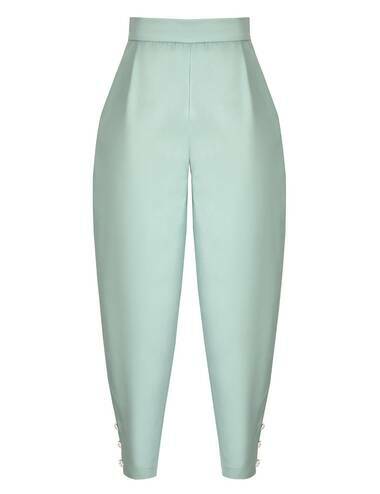 The high waist beautifully underlines the waistline. 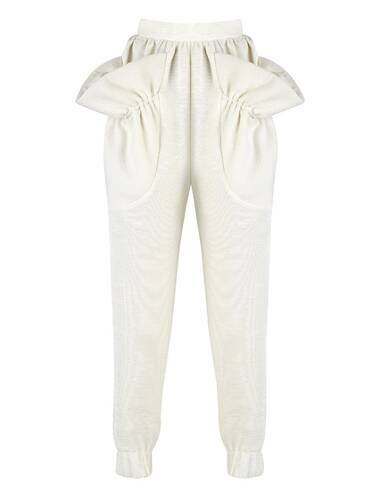 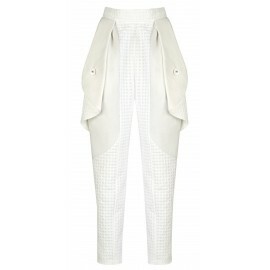 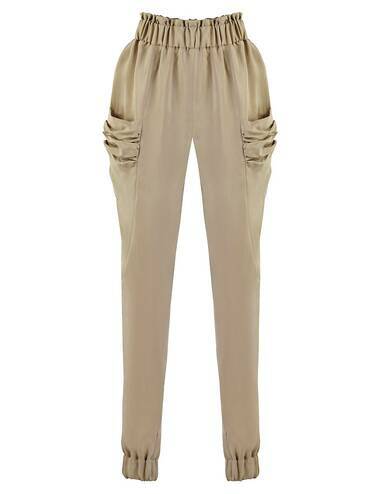 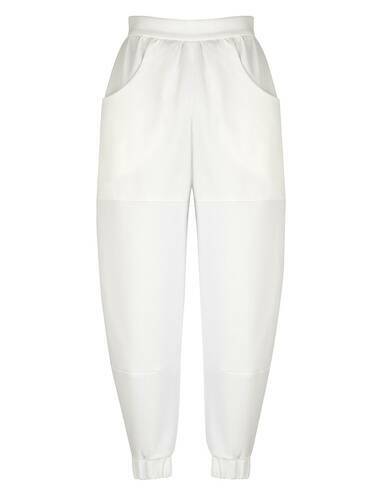 Original topstitching on the legs creates cuts, which expose calves, and pearls on the sides add elegance to the pants. 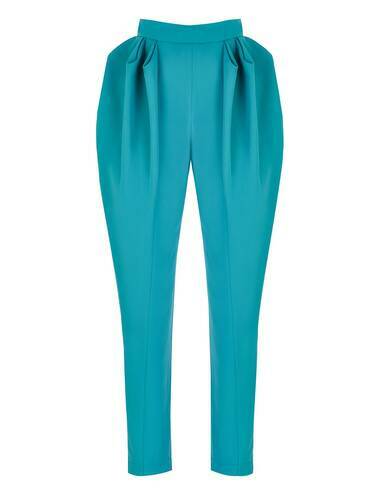 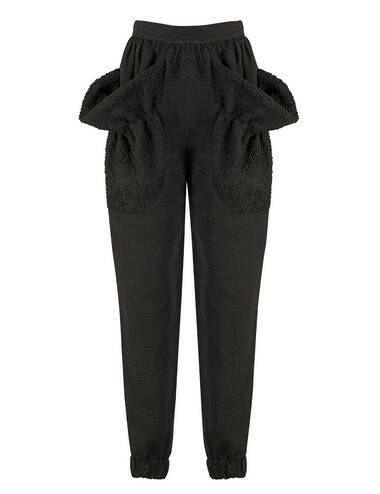 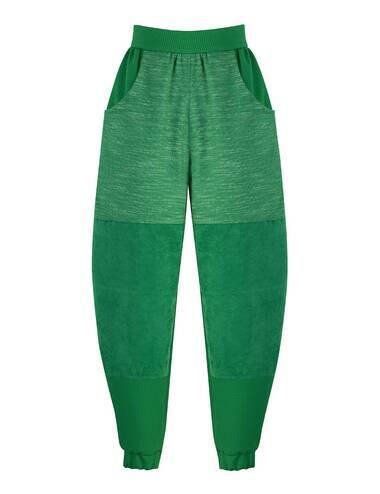 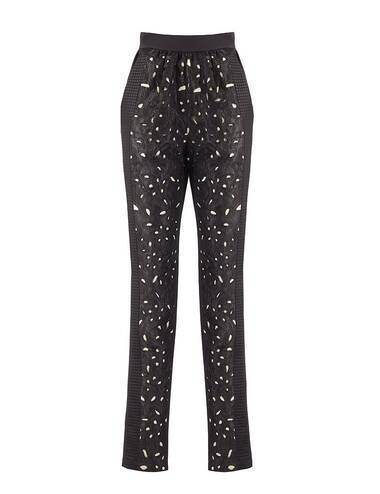 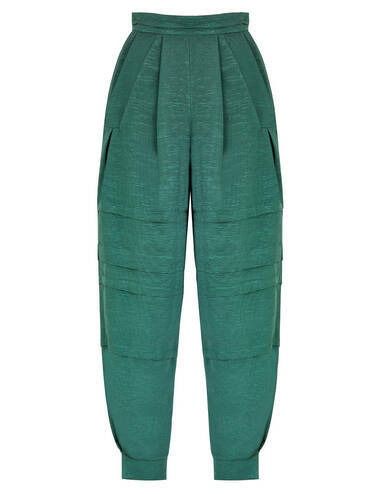 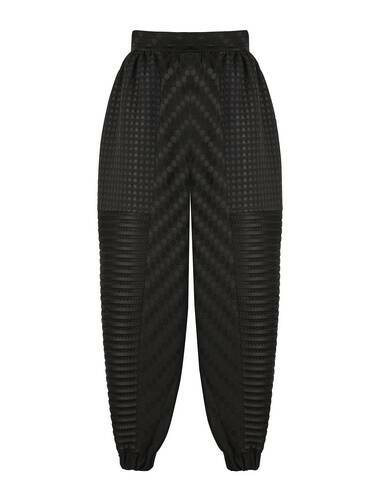 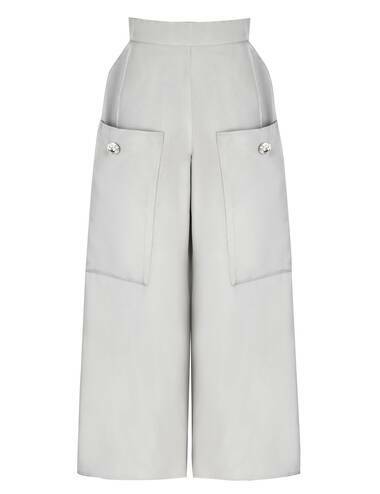 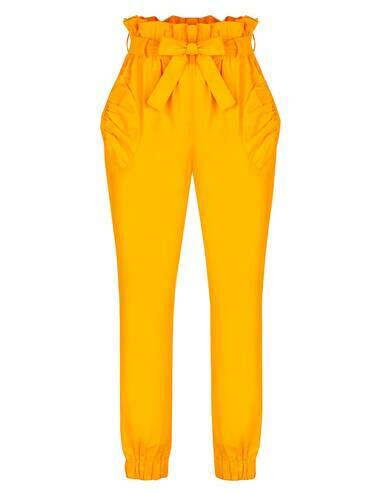 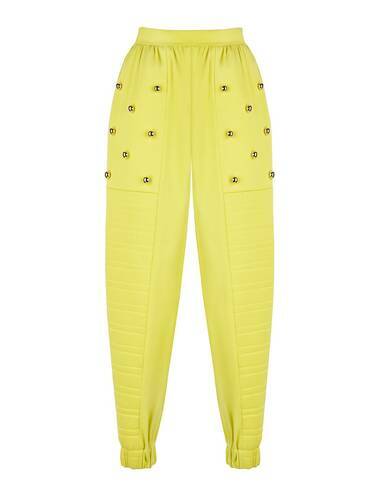 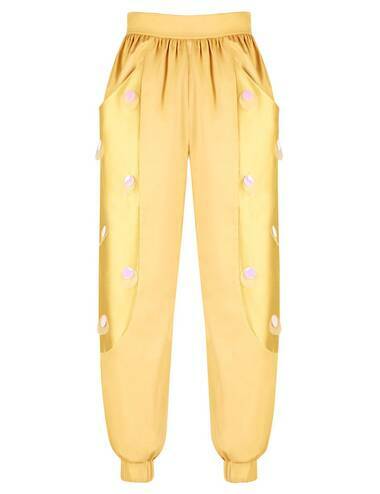 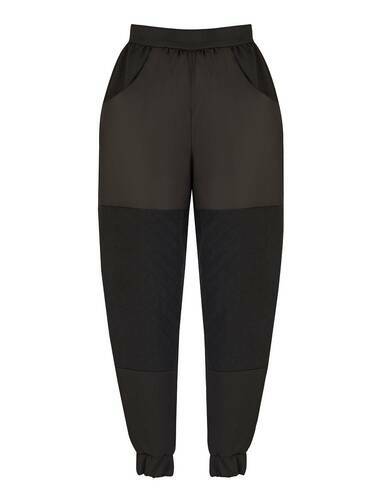 Above-the -ankle style pants are best combined with high-heeled shoes.